Hi friends & happy Wednesday! Hope you’re having an awesome day. 1) It makes us truly feel better (hiiii gut health!) & 2) the produce right now is so fresh so we’re taking advantage of it. Lately we’ve been obsessed with Birds Eye Frozen anything! Truly. Their veggie blends & frozen lentil pastas are ON POINT. 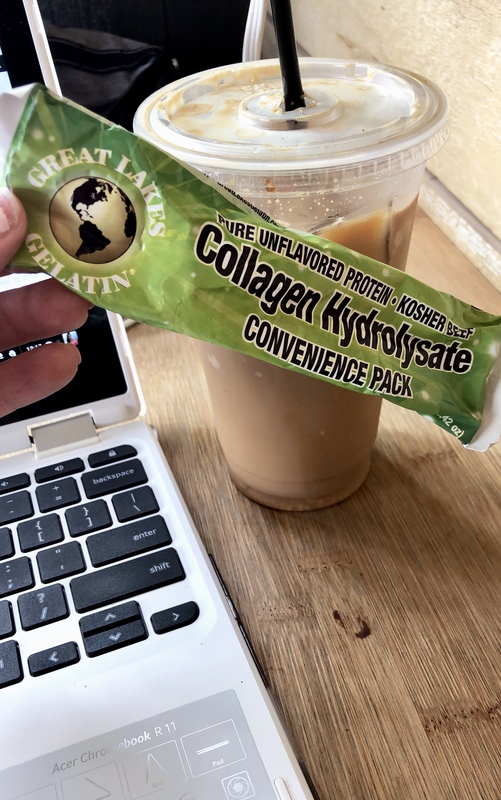 This is not a sponsored post — this is just something we’ve literally been eating DAILY and makes me want to scream off the mountain tops to everyone that I know! The lentil pasta is made of lentils & zucchini and you can get plain or tomato based. 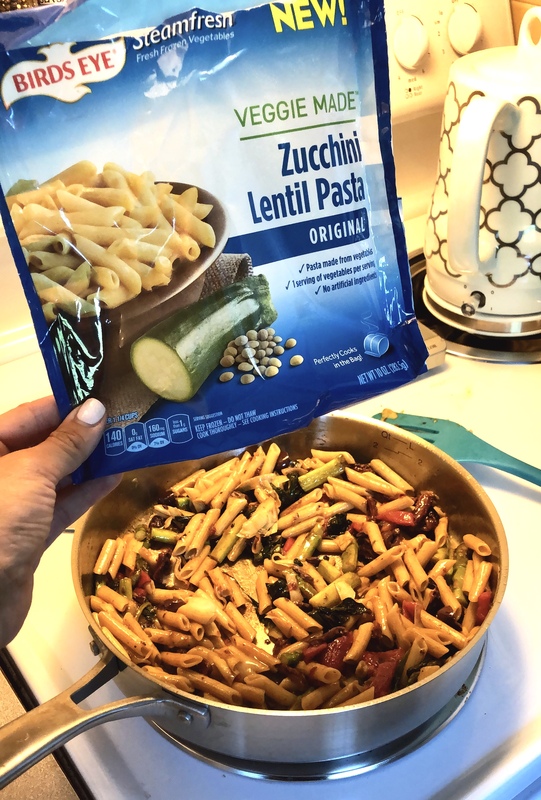 We’ve been making it hot by adding all the veggies to a pan and then adding in the pasta last to heat it….OR we’ve been making the pasta first and then adding it to cold veggies. Raw veggies of your choice! We used about 1/4 cup – 1/2 cup total of each. 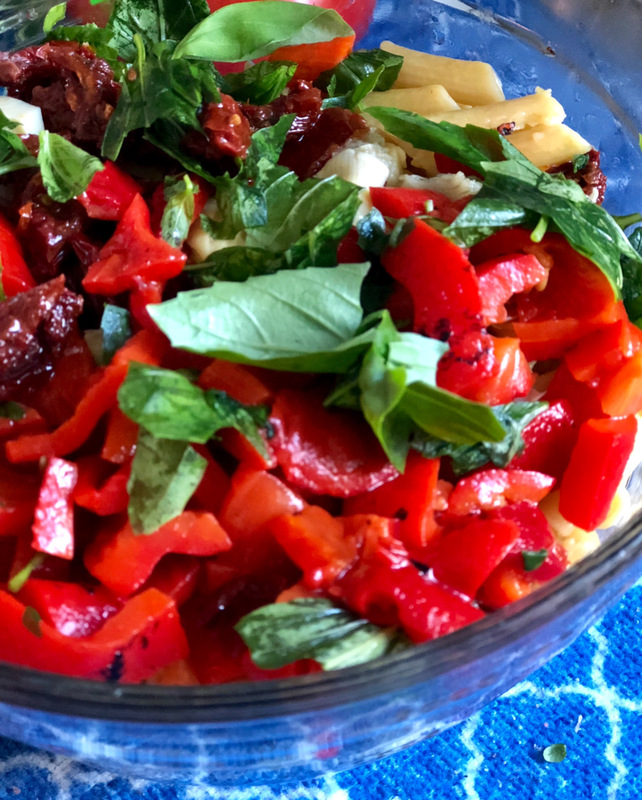 We used 1/2 cup of zucchini, baby kale, artichokes, roasted red peppers, cherry tomatoes, & then used about 1/4 cup kalamata olives, & sundried tomatoes. Heat your lentil pasta in a pan over medium heat until warm. Do not over-cook as it will get a little mushy and you want it to hold up in the salad. While that’s heating, chop your raw veggies & handful of basil to your desired shape. Add your veggies into a bowl and then add in your heated up pasta. Add in about 1/3 cup to 1/2 cup of dressing (we started with 1/3 cup and then after tossing & tasting, added more to taste). Eat right away or let cool in the fridge and ENJOY! I often get questions on balanced meals that we eat so anytime I can share with you one of our simple recipes, I will! During the week, we really do just keep it simple. Protein + veggies + fat + carb for mostly every meal we eat. Most of our meals don’t look “pretty” by any means — but we get in our nutrient dense food for sure. And trust me, I totally enjoy my red wine, brownie, or ice cream all in moderation because for me, it’s about finding a balance that works for my gut & my mind. 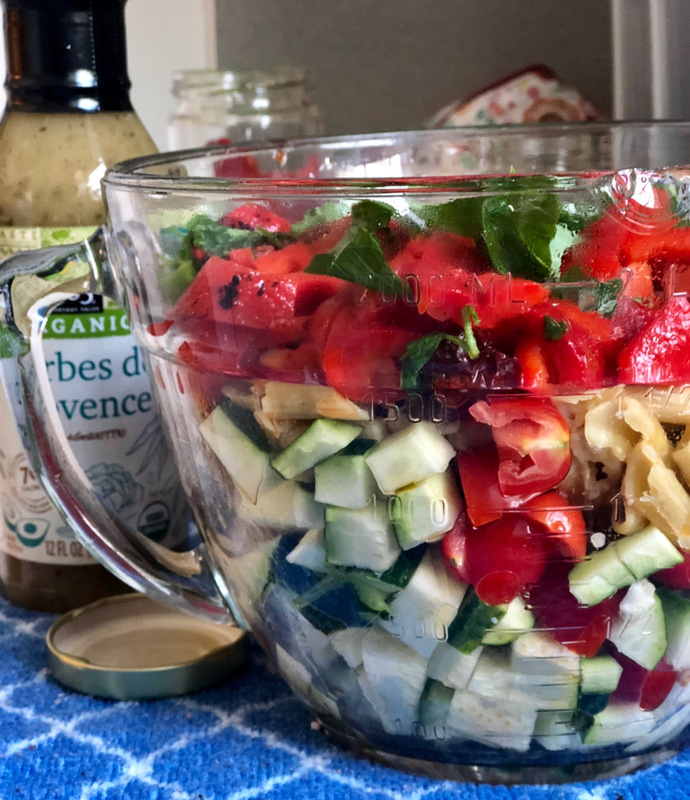 The best part about this salad is that you can make it your way! Add what veggies YOU like, dressing YOU like, & even add some extra protein on top or GOAT CHEESE or feta! ;] YUM! I hope you have an awesome rest of your week guys! 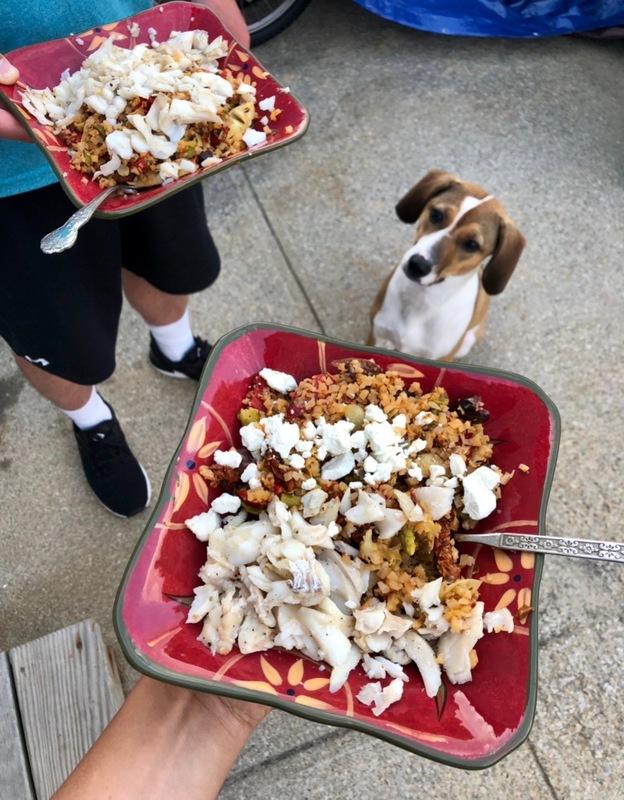 What’s your GO TO Summer recipe!? A reminder when you need it most...Be you, bravely! I love this idea of adding veggies into those pastas. I like the marinara lentil pasta the best. I also am successfully growing basil in a pot outside (thanks rain and humidity) so I should totally add some fresh basil to it and other veggies to make it more filling. 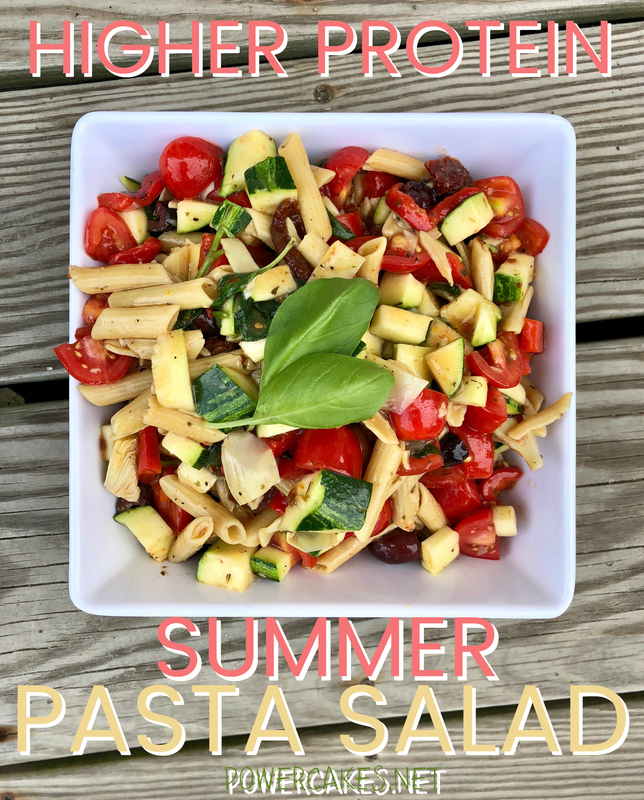 There are a lot of ways to make pasta salad and this is one of the best recipes I stumbled upon. Thank you so much for posting this. I wann try this out badly. “What’s up, this weekend is well designed for me, since this point in time, I am reading this fantastic educational post. Wooow ! That `s great! I Finally find some meals that I`m sure are delicious, yummy ! It works perfectly with my red tea detox and weight loss. Already I lost pounds with my red tea weight loss and I’m feeling great. I only need some light meals that work with my awesome tea diet. Thanks for the Great Recipe. it’s really delicious.very healthy recipe for weight loss.Thanks for sharing this recipe with us. I love your recipe.